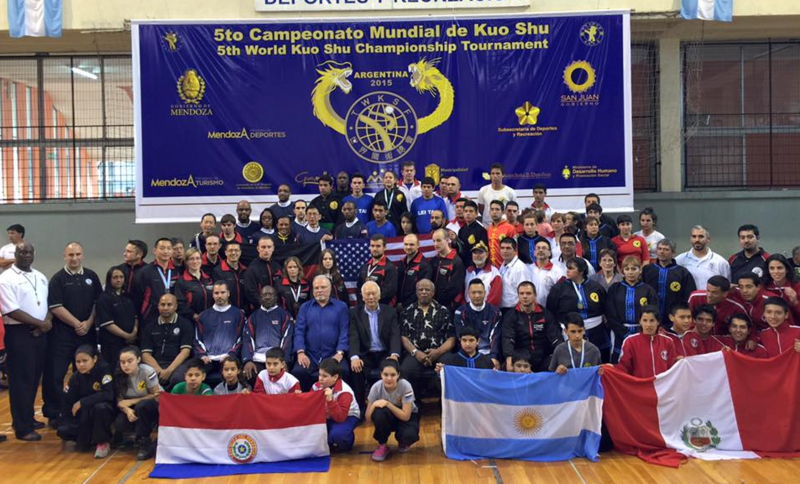 On September 25th – 27th, 2015, Tien Shan Pai students from the United States, Europe, and South America gather to support Grandmaster Huang and The World Kuo Shu Federation (TWKSF) at the 5th World Kuo Shu Championship Tournament in Mendoza, Argentina. On Sunday, August 23, 2015, The Tien Shan Pai Association under Grandmaster Huang, Chien Liang took in a new group of Tien Shan Pai disciples. Please welcome them into the family! The TSP 2015 disciple class (from Left to Right): Ms. Yelena Brodsky, Mr. Owen Riley, Mr. Jason Harris, Mr. Jeramy Hansen, Mr. Philippe Thomas, Ms. Xylia Hall, Ms. Peck Mun Lee. The Tien Shan Pai Association is an organization devoted to the promotion and preservation of the Tien Shan Pai (天山派) style of Kuoshu (more commonly known as Kung Fu). 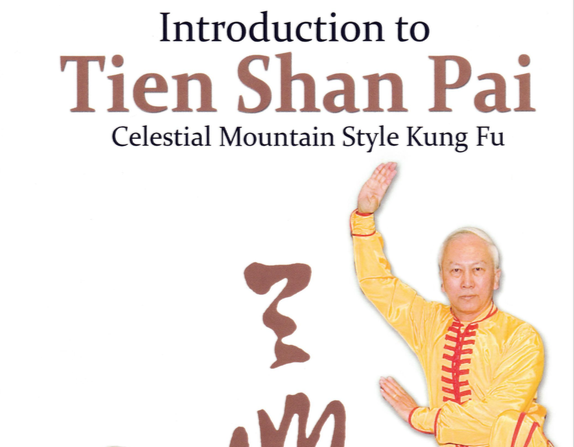 The Tien Shan Pai Association is based in Baltimore, Maryland, and is headed by Grandmaster Huang Chien-Liang (黃乾量), who is the 64th generation heir to the Tien Shan Pai system. Tien Shan Pai is a northern style which originated in the Tien Shan mountains of northwestern China. 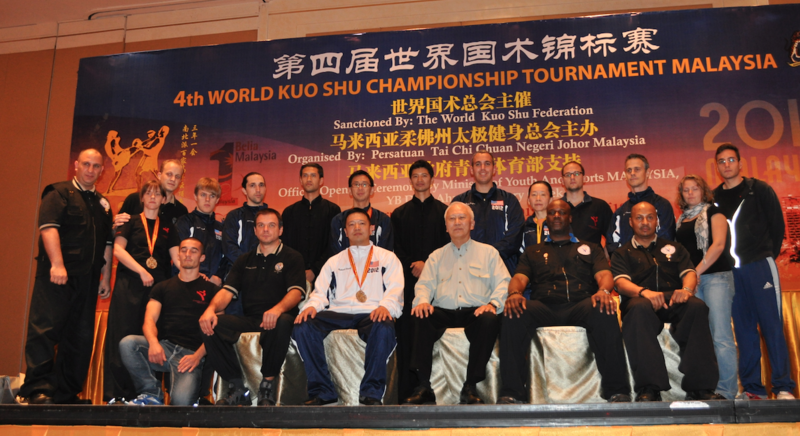 It is well known in Taiwan as an effective fighting style. At the same time, it also contains graceful empty-hand and weapons forms stressing rhythm and “ing shou”–the demonstration of power accentuated by solid thuds made by the hands.